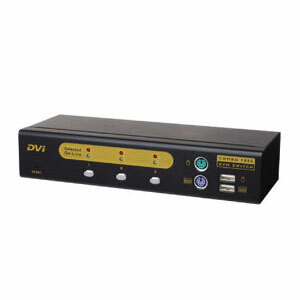 3-Port DVI COMBO FREE KVM SWITCH W/ Audio. Three sets of custom (DVI, USB+2 x 3.5 mm audio) cables. 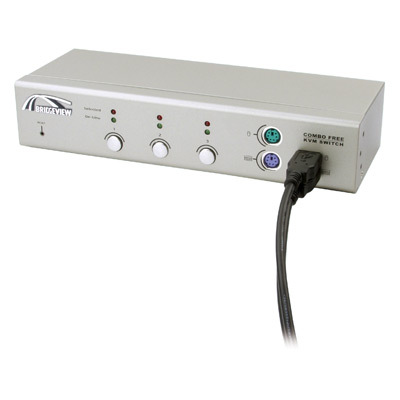 Console your Keyboard/Mouse via either way of PS/2 and/or USB arbitrarily. Controls 3 DVI computers from a single console (Keyboard/Mouse) over USB connections. Supports Windows, Linux, Mac OS9/OSX, Sun. Emulates a keyboard on each PC to allow your computers to boot normally without a keyboard error. Supports hot-swap. 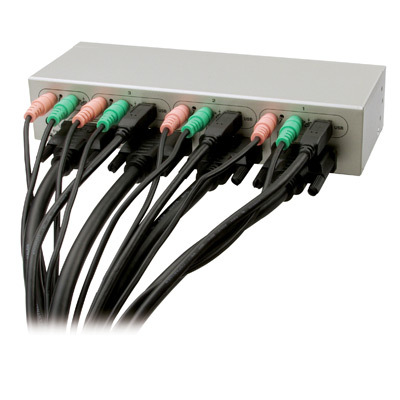 All devices connected to the KVM can be added or removed at any time, without shutting the unit down. (2) Hot-Keys on PS/2 and/or USB of keyboard arbitrarily. Supports Auto-Scan function to switch video automatically among computers in preset intervals sequentially. Supports LED display for PC status monitoring. 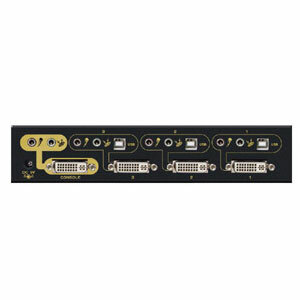 Supports DVI UXGA resolutions up to 1600 x 1200. Supports Beeper during switching enabled. Enabled audio ( Mic / Speaker ). 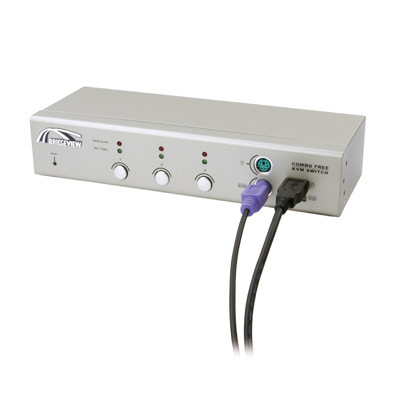 Self powered through PS/2 and/or USB connection. Fully compliant with the USB 1.1/ 2.0 specification.